Vegas is a place where dreams can be made or crushed depending on how you decide to spend your time (and money). If you truly value your both skip the buffet lines and slot machines and open your eyes to a whole different side of Sin City, the side we like to call “Vegas in Style”. First off there are two main ways to get to Vegas, either you sit in a car on a congested freeway for 4 to 6 hours or you fly on a crowded airplane with little to no service. Both of these options do not appeal to us which is why we searched out an alternative way. 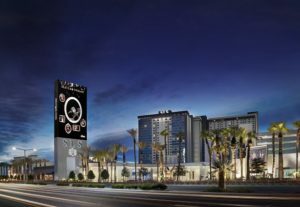 If you are heading to Vegas for luxury then you should certainly travel that way. JetSmarter which flies directly from Hawthorne to Las Vegas is the number one choice for savvy travelers that know exactly how to arrive in style. Toss your keys to the valet, jump in the jet and you will find yourself Vegas bound in less than it can take to get a Latte at Starbucks. One of the fringe benefits of flying semi-private is the people you meet on the flight; typically people that fly this way have big business, a lot of style and a great story! An hour of great conversation later and you have arrived, ready to hit the city. One of the newer additions to the city, the SLS knows how to do Vegas right. A sophisticated, alluring hotel scene awaits as you pull up to the valet. Try not to drool over the countless Lambos, Ferraris and Bentleys pulling up filled with Italian and French models; right away you know you’ve made the right choice in accommodations. 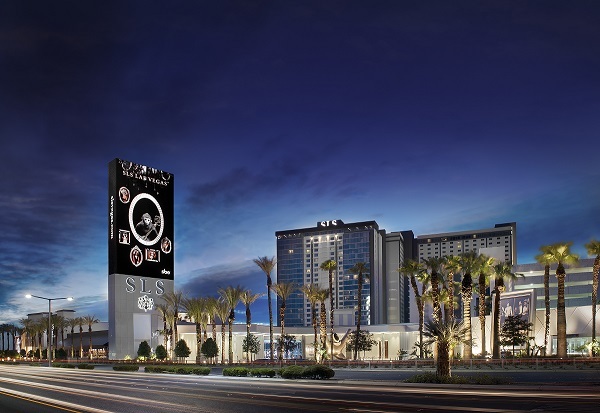 The SLS Las Vegas resort and Casino has more than 1,600 guest rooms and suites, 30,000 square feet of meeting space, and a variety of SBE’s acclaimed restaurant and nightlife brands. Have your senses awakened with Bazaar Meat by José Andrés, Katsuya, Cleo and multiple nightlife opportunities that will keep you dancing until dawn. Prefer pool parties over nightclubs? 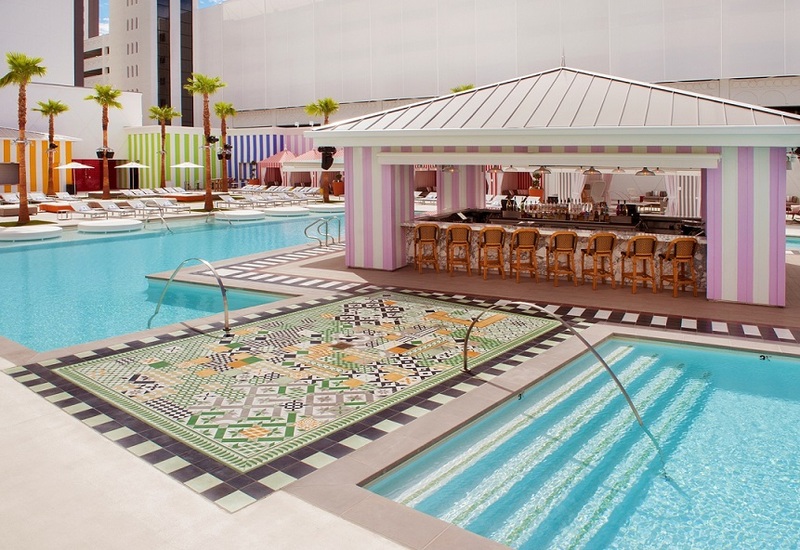 Situated in the heart of SLS Las Vegas, Foxtail Pool is a “can’t miss” destination for locals and hotel guests. 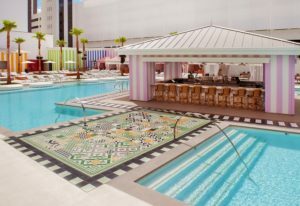 By day the pool transforms into a club and also serves as the perfect extension of the hotel’s nightclub scene. Take in some of the city’s top DJs at Foxtail as you enjoy bottle service among friends making for the ultimate Vegas party. Las Vegas is world-renowned for its restaurant scene. Endless restaurants serve all types of cuisine ranging from Sushi bars to Brazilian BBQ to world-class buffets, the options are endless. The Cosmopolitan has two restaurants that we just have to highlight and trust us when we tell you; you need to put these two on your list of places to visit! Ok, this has quickly become one of our all-time favorite dining experiences in Las Vegas hands down. This modern-day supper club serves American classics with a nouveau unexpected twist. As you open the menu you will notice that nothing is normal here. Small plates are the theme which is a nice touch as you get the chance to try so many of the chef’s creations. 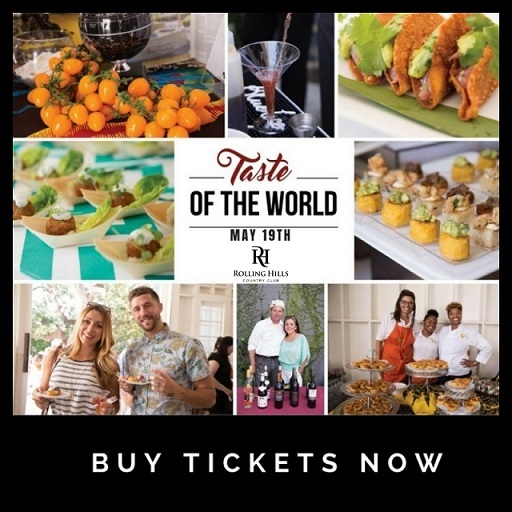 Items including Caviar Tacos, Short Rib Stroganoff, Argentinian Empanadas and Beef Wellington will keep you wanting to try more off the menu as the food served here is the perfect size for sharing. The finishing touch that makes this Vegas hot spot such a keeper is the live entertainment going on during the dining experience. Some of Las Vegas’s top performers put on dazzling shows right before your eyes making this a place to remember. It has been said that no two experiences are the same here which makes this a place to revisit time and time again! Another new edition served up by the Cosmopolitan is Beauty & Essex, a swanky hidden gem (literally hidden behind the doors of a pawn shop). A rather new addition to the trendsetting hotel, Beauty & Essex is a partnership with TAO Group and acclaimed Chef and Restaurateur, Chris Santos. A prohibition-style speakeasy restaurant this communal style dining experience is another you won’t soon forget. Keeping the style of small, shared plates Chef Santos’s goal is for guests to get an opportunity to try many of his delectable items off his world-class and well thought out menu. Popular choices and our personal favorites include the Grilled Cheese, Smoked Bacon and Tomato Soup Dumplings, Roasted Bone Marrow and Maine Lobster Roll. These items combined provide the perfect viewpoint of what Chef Santos is all about; bringing first class food to Las Vegas with style! 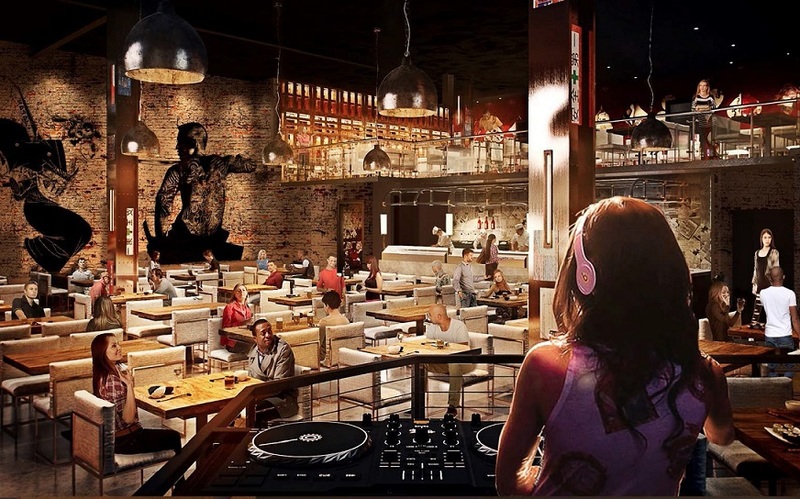 Located in The Park, right next to the new T-Mobile Arena on Las Vegas Blvd sits Sake Rok, a new Asian Fusion hot spot making waves. People are flocking here from all over to experience not only great Japanese fusion food but also stellar Vegas entertainment by the service staff. This giant 13,000-square-foot location has a mezzanine that overlooks the first floor which can accommodate literally hundreds of people throughout the venue. The top floor consists of event space, named Sakura Terrace, which seats 150 comfortably and opens up to a 1,300-square-foot balcony that overlooks The Park, Arena and the iconic Strip. Looking for unique Japanese style handcrafted cocktails? The bar staff at Sake Rok has talents that are rarely seen when making their creations. 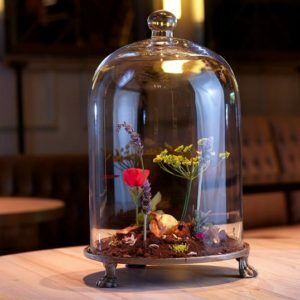 Some of the popular signature cocktails include the Lily Pad, (Hendricks Gin, Charaeu Aloe Liqueur, Shiso, Fresh Lime), the Hana Berri (Nigori Sake, Bols Elderflower Liqueur, fresh lemon, Banzai Bunny Sparkling Blueberry Sake) or the Dragonfly (Bacardi Dragonberry Rum, Giffard Litchi Liqueur, fresh lemon, strawberries, Togarashi). Couple these mouthwatering creations with delicious fresh sushi and nightly jaw-dropping entertainment and you have another winner to add to your list! The owners of Brooklyn Bowl felt that Vegas needed a little more rock n roll and they were just the people to bring it to the forefront. There is one little touch that they added though; it comes in the form of a bowling alley! Bowling has a whole new look here at Brooklyn Bowl where patrons can showcase their talents on 32 Brunswick lanes, while they kick back and take in the evening’s entertainment. Music is a big draw at Brooklyn Bowl; you can literally see a different band almost every day of the week here. This massive 70,000 square foot facility houses a top of the line sound system which provides the perfect home for bands from all genres and generations. Take in one of the performances or watch a sports game on one of their high-definition LED screens towering over the pins. Mix in handcrafted cocktails and tasty bites and you have the ultimate Vegas night on the town! What would a trip to Vegas be without a visit to the spa? After a long weekend of dancing, gambling, pool parties and more the perfect way to detox and spend a Sunday afternoon is at the Canyon Ranch Spa. Located on the fourth floor of The Venetian and the third floor of The Palazzo, this massive 134,000-square-foot facility features over 150 services and activities that deliver endless opportunities to pamper yourself and relax the day away. Canyon Ranch Spa has become quite the popular hot spot in Vegas not only because of the variety of treatments offered but also because of the overall experience that guests can receive here. After your specialized treatment spend the day relaxing in the European inspired Aquavana thermal cabins, whirlpools and experiential rains. You will find it quite easy to spend countless hours in environments like this which also includes a Crystal steam room (cleansing aromatic steam with a large crystal to inspire focus and meditation), the Hydrospa (radiant lounge chairs designed for relaxation and a variety of massage fountains for rebalancing and releasing tension) or the Igloo which offers cool air and three arctic mist experiences enhanced by twinkling fiber optics. A trip to Las Vegas simply wouldn’t be the same without taking in one of the hottest shows on the strip. When choosing which show to see look no further than her highness, the one, the only, Mariah Carey! Dance the night away with Mariah’s newest Vegas blockbuster “From Number One To Infinity” which takes you on a serious journey down memory lane. Starting the show off with her first number one hit “A Vision of Love” to her latest release “Infinity” it simply doesn’t get any better than this. The singer performs all 17 number ones from Honey to Someday. If you are a true Mariah fan, (and really who isn’t) then you are in for a real treat as she brings down the roof at Caesars Palace like no one before her! For those of you that think she may not still have it, trust us, she does! Sing along as the stage transforms and remember where you were when each hit was popular, it may bring back memories you haven’t thought about in a long time and you may just find yourself going on an emotional roller-coaster with the infamous songstress. 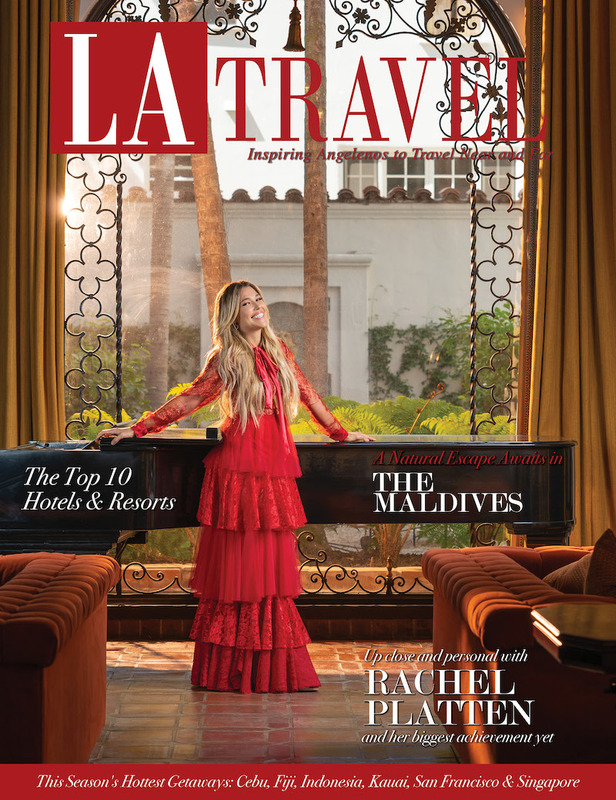 This entry was posted in Editor Picks and tagged las vegas, luxury travel, mariah carey, mariah in vegas, nevada, sls, travel, vegas. Bill & Giuliana Rancic: Taking over the World, One Restaurant at a Time.